This past Tuesday was my Momma's birthday -- her 70th to be exact! I am awfully lucky to have such a caring, comical, and genuine lady in my life. 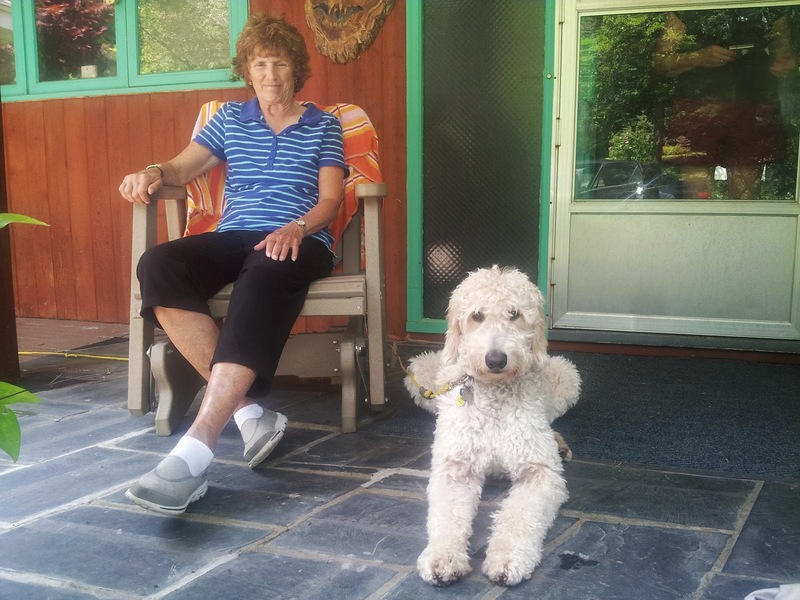 My mom and Milt have certainly bonded over the course of the summer. She doesn't even put up much of a fuss anymore when we quite frequently find Milton on a bed, or he shakes himself dry directly in front of her. I suppose love for family is rather unconditional, and both Milton and I do love that Grand Nan and look forward to celebrating many more birthdays with her!